Let's Do the Time Loop Again! Ah, the time loop, a magical (or scientific, depending on the story) event where our protagonist (although not always the most heroic of people) is forced to relive the same day (or hour, or sequence) over and over and over again, long past the point where most sane people would have lost it. It's a convention that's been around much longer than most might realize -- a short story published in 1941, "Doubled and Redoubled", tells of a man reliving the same perfect day over and over again, although more often than not the setup is like a puzzle box. Generally, the protagonist has to figure out a way from the mess, maybe by finding the cause or, more simply, becoming a better person. 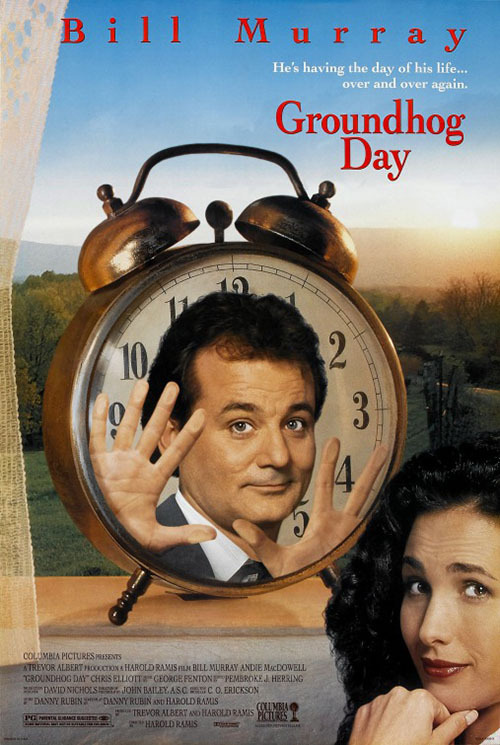 The trope was made famous by the Bill Murray movie Groundhog Day such that now when people discuss the storytelling convention, it's always as "like Groundhog Day, but with..." I bring up time loops because they've show up a lot in recent TV and film. 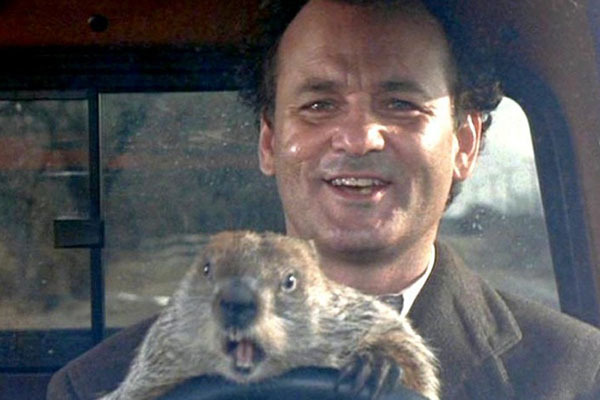 It seemed like a good idea to look at the concept has evolved since the release of Groundhog Day and see just how many films and shows have done the convention justice. Of course we can't discuss the trope of time loops without first addressing the biggest name in time loop storytelling: Groundhog Day. Released in 1993, the film stars Bill Murray in, what is now, probably one of his most famous roles (certainly right up there with his turns in Ghostbusters and Caddyshack the latter of which was... eh). Murray stars as Phil Conners (not Phil Collins as I keep wanting to write it), a Pittsburgh weatherman with a huge opinion of himself. We watch his first day, going to Punxsutawney, PA (which, even after looking it up, still looks like it's spelled wrong) to cover the annual Groundhog Day celebration. After being a jerk to everyone at the festival, he gets trapped in Pux due to a heavy snowfall. After a long and awful day (at least for him), he wakes up only to find he's back at the start of Feb. 2nd once more. Thus begins a story of Phil trying to find his way through the day. He goes through many of the stages of grief (I think I've read more than one article analyzing that, actually) with denial that first repeated day (as he refuses to believe he's trapped in the same day again), to bargaining (realizing he can do whatever he wants since nothing matters), depression (trying to off himself time and again to no avail), and finally acceptance as he learns to just go with his situation and make himself a better person. It's also a love story, although a very one-sided on, as Phil falls for his associate producer, Rita (Andie MacDowell), and his attempts to woo her and then, once he stops fighting it, wins her just by being a better him. The whole construction of the movie plays with the concept of a time loop to great effect, conveying pretty succinctly just how hard it would be to essentially be stuck in the same day over and over without ever being able to escape. The tedium, and inevitability of the repeat, the need to find something, anything else to do. And yet, despite these dark themes it plays with, it's a very funny movie. It is, essentially, the Bill Murray show and he brings his A-game. Ever good line, every funny moment, comes through because of Murray -- the movie would have been very different with anyone else in the lead role and it's hard to think that it would have been anywhere near as good. The kind of cranky, awful person with the heart of gold inside that you can't help but root for is Murray's bread and butter. There are some moments that don't work, and the end of the film kind of falls apart of bit if you think about it too hard -- the whole movie is from Phil's looping perspective so we just accept the end of the film, and everything working out how he deserves, because it's been his journey, despite the fact that he pulls a complete, nearly psychotic, 180 in a single day (a fan edit of the film from Rita's perspective shows how weird the love story is for her to dive into). And yet it works. It's a great film, a solid entry in the time loop genre, and a fantastic performance from Murray. 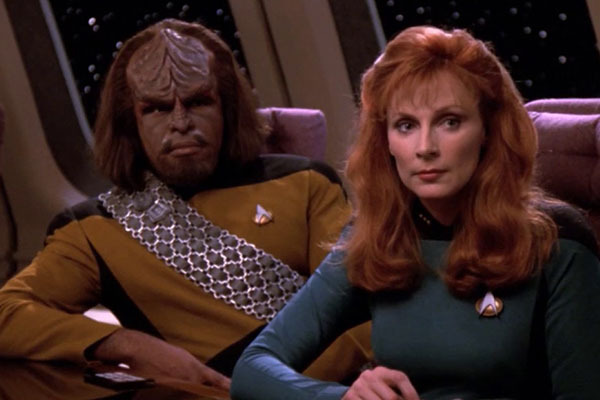 Star Trek: The Next Generation "Cause and Effect"
Coming out a year before Groundhog Day, although anyone that watches it now will compare this episode to the big screen comedy, "Cause and Effect" tells the tale of a single day for the Enterprise D crew. A day that just happens to play over and over. We know this because the show cold opens with the Enterprise D in danger before exploding. 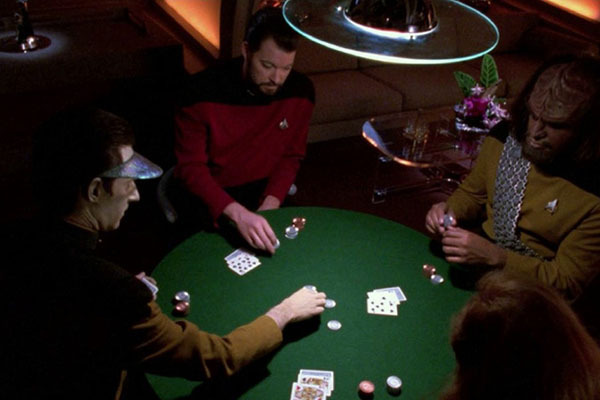 We then cut to opening credits before going into the episode proper with the bridge officers -- Riker, Crusher, Worf, and Data -- playing a game of poker. Like nothing has happened. You know, because it hasn't yet. But it will, and then again, and then again. This episode is an example of the puzzle box version of the time loop. While Groundhog Day was focused on Pill Conners making himself a better person, a metaphysical reason for the loop (which only ended once he became his best version), the crew of TNG start seeing clues that there's a time loop going on (echoes of the bridge crew being heard by the empath, Troi, and Data sending messages to himself) and have to figure out what external force is causing it. This is also one of the few instances of the trope I can think of where no one remembers what's happening from one loop to the next. Phil always had his memories, but here the crew just fully resets, unaware of the loop until it's (almost) too late. I really dug this episode when it first came out, but then I'm a sucker for time travel in all forms and the time loop is close enough to work for me. Plus, even if you compare the Murray comedy and this episode, they are very different beasts. Like two sides of the same coin. Also released in 1993, this film is barely remembered by anyone (including this reviewer). I haven't managed to track down a copy even as it doesn't seem like it was every released on DVD after it initially aired on TV. We're going off my memory here, and what few notes I could find online. Essentially, we have a guy that works for a company and the company is testing some powerful device. At 12:01 PM the device is activated and then the day resets but, due to his proximity to the device or something when it's first activated, our main character remembers the day and soon realizes he's repeating events. As I remember it, the film is essentially a puzzle box with a remembering hero. The guy has to figure out how to stop the device and save the day so he doesn't loop again. I seem to also recall enjoying the flick at the time, but then I was twelve and I liked a lot of stupid stuff, so who knows. Considering that I only barely remember it and it's never been released in the U.S. after airing, I think it's safe to say this film wasn't very good. I really just mention it because apparently 1192-1993 was a very big time period for time loop stories. Clearly, though, not all of them were created equal. Now here's a favorite of the editors of this site, old and new. It was so good that back in 2009, when we made the first version of Asteroid G, Day Break was one of the first titles we covered (mostly because I passed my DVD set to everyone else involved and made them watch it). 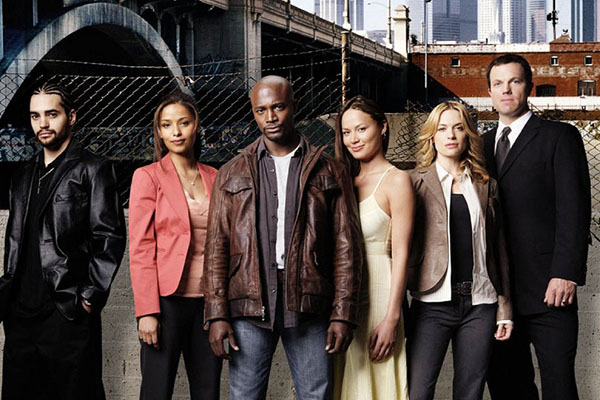 In Day Break, Detective Hooper (Taye Diggs) starts his day as if everything is normal, only to find himself framed for a murder he didn't commit and on the run from the authorities. Things go super poorly that first day, but then Hooper wakes up back in his bed and starts the day over. He pretty quickly adjusts to the time loop and starts using it as a way to try and clear his name and catch the actual murderers. It is, at times, very tense, especially once they introduce us to the fact that Hooper isn't invincible. 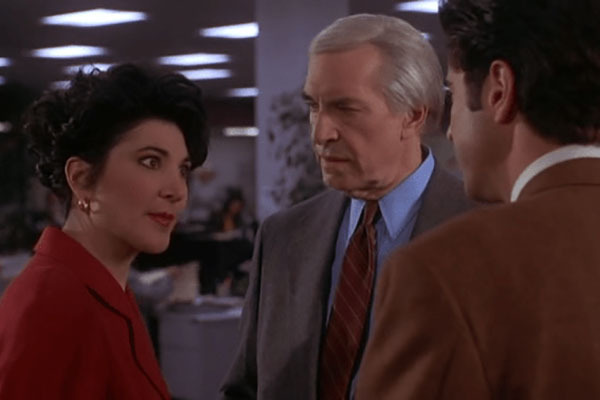 While Phil might have been able to mangle himself any way he could think of in Groundhog Day, the damage Hooper suffers carries over from one day to the next. If he's shot, he's still shot the next day, so no dying and reviving here. The show is an example of all the various parts of a time loop story, largely because with 13 episodes it had time to really explore the conceit. Sure, it's a puzzle box since Hooper has to figure out what's going on (as he retains his memories from one day to the next). It is, however, also an improvement story as Hooper can make changes to the people around him (albeit subtle ones) by helping them on one day -- is actions influence their decisions on the nest loop, often (but not always) getting them to act more favorably for him. It's an interesting twist and one that I would have loved to see explored even further in a second season. Sadly, the show was cancelled before it got the chance (it was so little loved that even trying to find images for it now online is difficult). 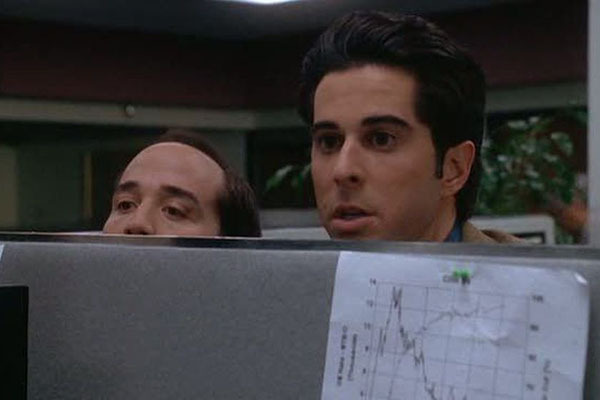 The real tragedy about Day Break is that it was probably too high-concept for the timespan it came out in, a sci-fi police procedural before genre shows really took off on network TV (barring the occasional X-Files or Fringe over on FOX). I like to think that if the show had been produced in today's current climate of genre movies and shows it would have done much better. 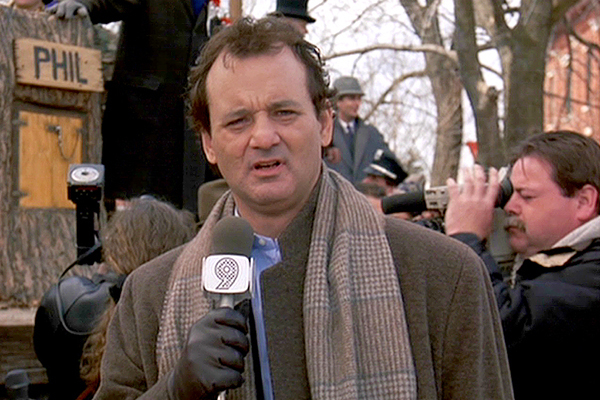 It's so much more than the "Groundhog Day but in a detective show" concept it bore. By the time Netflix released ARQ, the time loop genre has quieted down for a spell. I certainly hadn't seen a lot of instances of the trope in genre fare, and while I'd heard of a couple of tries at making new time loop comedies (I recall a time loop Valentine's Day that never went anywhere), not much had really been seen in the sub-genre. Then I stumbled upon ARQ. I will fully admit I went into the movie because I was excepting something really crappy. It's a Netflix, direct-to-streaming release starring Robbie "Brother of Arrow" Amell and Rachel "It's Patsy" Taylor. These are not big stars and the whole project screamed "low budget bargain bin". And it is a low-budget flick -- despite being a sci-fi film there's barely anything technological in the film (beyond a couple of cool looking computers). In fact, the movie is so low budget it all takes place inside a single house, making this the first instance of a time loop bottle episode I can think of. In ARQ, Renton (Amell) wakes up in bed next to Hannah (Taylor). Hannah has just come back into his life after being captured months earlier by some evil corporation. After she was captured, Renton went on the run with his ARQ (a source of perpetual, sustainable energy). Together, they're both subjected to a gang of masked marauders that want to steal Renton's money and scrips (presumably immunization and medicine prescriptions, although the term is never clearly defined). Soon, people are dying, Renton gets shot, and then wakes up back in bed next to Hannah. As the loops go on, Renton learns more about Hannah after she escaped the corporation, the gang of marauders, and something strange going on with the ARQ itself. Plus, as the loops go on, more and more of the people in the house begin remembering what's happening, complicating the proceedings. Despite the low budget and the CW-level cast, I found myself really enjoying this movie. 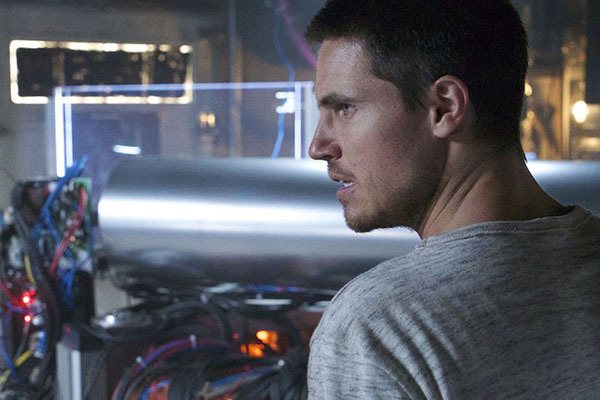 I was prepared to hate Amell just because of his CW roots (he was okay on The Flash as one half of Firestorm) but I really thought he got into the role here. Taylor, too was really good with her part as Hannah, and eventually she'd go on to play Patricia on Jessica Jones so, clearly, the woman has talent. Plus, the way the movie explore the puzzle box of the time loop was really compelling. This is one of those gems that I would have expected more people to talk about and I'm really sad it doesn't get its due. 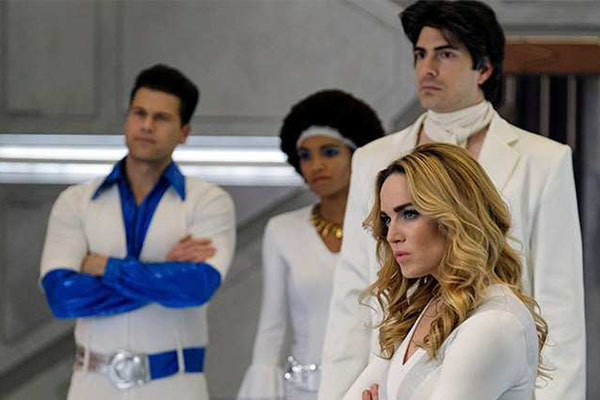 DC's Legends of Tomorrow "Hedgehog Day"
Hey, speaking of the CW, here was have a recent episode from the delightfully dumb Legends of Tomorrow. 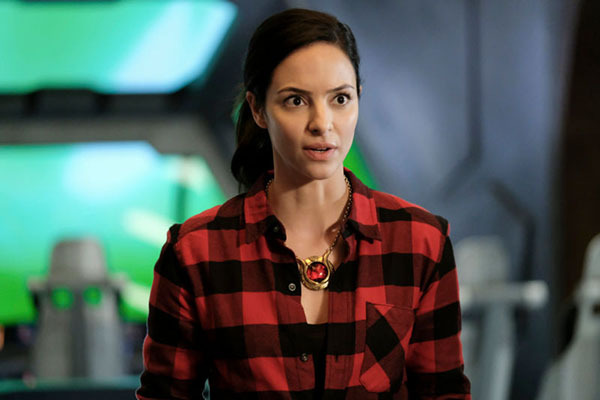 In the episode, Zari (Tala Ashrafi), new member of the crew and bearer of the Air totem (a plot device for the season), finds herself stuck in a time loop. While she's the only one to remember what happens (she goes to work on the time engine, as this is a time travel show, and then the ship blows up), she does get assistance from a couple of crew members: Nathaniel (), the resident historian and superhero "Steel", who instantly realizes what she's talking about with time loops and tells her to say "Groundhog Day" to him so he'll know what's going on (which she delightfully mangles into the name of the episode, "Hedgehog Day") and Ray Palmer (Brandon Routh), resident techie and "The Atom", who knows time loops from the Star Trek episode "Cause and Effect" (which he name checks). Legends is a fun show, one that doesn't take itself seriously, so the obvious, literally stated nods to the time loop shows that have come before is great. The plotting, too, mirrors each of the name-checked media. 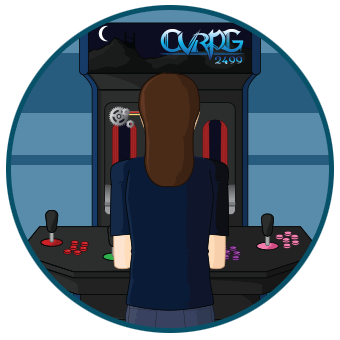 While stuck in the loop, Zari learns all kinds of skills and discovers a number of things about her crewmembers, helping her bond with them better and become a real part of the team. Of course, the ship is about to blow up, too, so the puzzle box is set and the loop restarts each time the ship explodes. The show has a lot of fun with the conceit and finds was to play in the sub-genre. it's not a deep episode, but it is effective and a fun way to spend an hour. Seriously, if you haven't watched Legends of Tomorrow, go check out this episode and then give the series a chance. Tfe first season is a bit hard to get into but (in a rare move for me) I'd recommend just skipping to second season and enjoying the ride. Plus, don't worry about the crossovers the series make with the rest of the Arrowverse -- there's not a lot of continuity you need to worry about with this show. Not every time loop movie is going to be good and, sadly, Happy Death Day joins 12:01 as one of the stinkers. Essentially "what if Groundhog Day were a slasher flick" we find Tree (Jessica Rothe), a college student and sorority sister, celebrating her birthday as quietly as she can. Sadly, her best-laid plans instantly go off the rails when she wakes up in the bed of some freshman she doesn't know, and then spirals out as she breaks up with her married boyfriend, dodges another bad date, gets forced to go to a party she's not really interested in and, oh yeah, gets killed. Then she wakes up back in the freshman's bed to live the whole day again with the very real memories of the death she just suffered. Conceptually this film could have worked. I'm a huge fan of slash flicks so the idea of one girl reliving her own slasher death over and over is pretty neat. This may be the only slasher flick where the body count is both "a lot" and also "just one, and not even then". I also like the fact that they took a bit of a page from Day Break as Tree's body slowly starts to show wear and tear from all the damage she takes before waking up again. Sadly, the flick is crippled with a director just doesn't really care and a script that's unwilling to take the concept far enough. The film is competently shot, but none of the kills are framed to actually make them at all scary. There's no tension, barely any build up, draining all the horror from the horror movie. The story, too, betrays us as much of the "killing" happens in a quick montage so we don't even get a chance to enjoy it. Of course, the fact that the studio also pushed for a PG-13 rating didn't help -- slasher flicks are about scares and gore and if you wuss out of the R-rating, you undermine the very core of the genre's appeal. This movie could have been good, but instead it's just a shallow footnote of both the slasher and time loop sub-genres. Star Trek: Discovery "Magic to Make the Sanest Man Go Mad"
Hey, another time loop story set in the Star Trek universe. 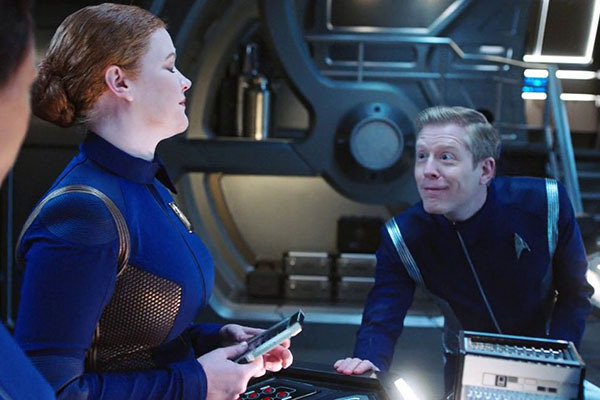 This time the story happens in Discovery where the crew of the titular ship are caught in a loop and the only person to realize it is the chief engineer, Stamets (Anthony Rapp), for reasons of over-arching plot that don't need to be gone into here. The time loop, of course, finds the ship blowing up and resetting and Stamets is trying his damnedest to figure out why. 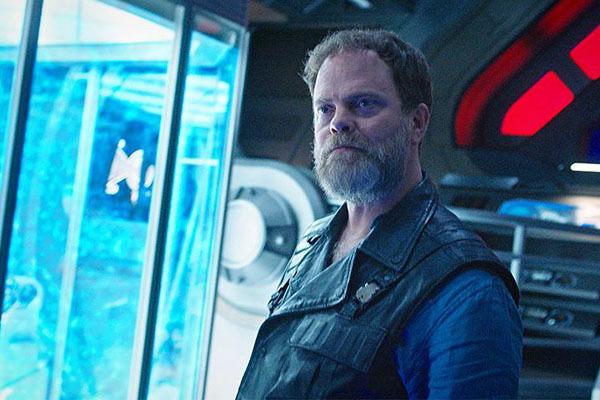 Eventually we're clued into a returning Harry Mudd (Rainn Wilson), a galactic scallywag with a bone to pick with the crew of Discovery (again, for reasons outside the bounds of this episode), so using some alien tech, Mudd causes a time loop. His goal is to take over the ship, kill the crew, and sell the ship's special engine (yada yada fungus drive) to the highest bidder. This episode is another of the puzzle box entries, but unlike the TNG episode tackling a similar topic, this time we have someone that actually knows what's going on. We also get a lot of loops, allowing us to more fully see the various changes and effects the loop is having. Plus, since the loop is caused by a single person with malevolent intent, we actually have two forces working against each other over the matter of the loop. It's an interesting twist to have an actual antagonist causing the loops, and I really liked how it bent the basic idea of sub-genre. I still have my issues Discovery, but if I were forced to watch one episode of the series, this is the one I'd pick. it's not entirely self-contained, but it's about the closest to show made to a single, episode-of-the week story. Plus, it's just well plotted and well made, making it the high point of the show's flawed first season. Cloak and Dagger "Lotus Eaters"
This is the most recent entry into the time loop sub-genre I've seen, and was the inspiration for this piece. 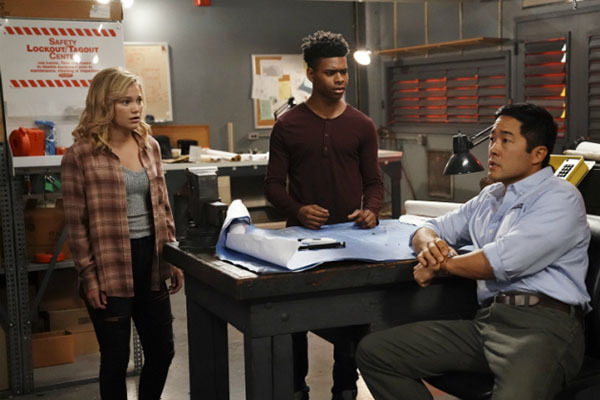 We're still early into this Marvel show (airing on Freeform), and the titual heroes of Cloak and Dagger are still just figuring out how their powers work and what all they can really do. 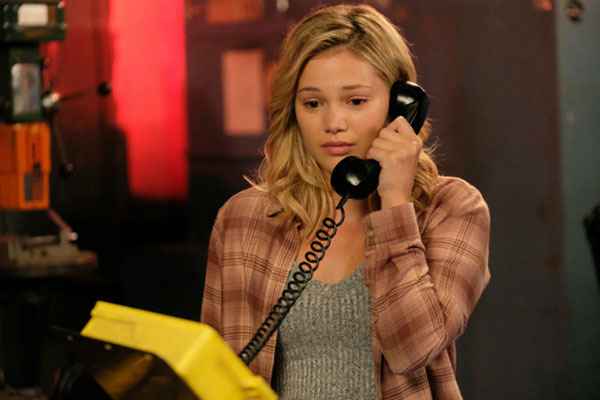 The show gives them something heroic to tackle, though, when Tandy/Dagger (Olivia Holt) touches the hand of a catatonic man and finds in his mind a shadowy door that she can't open (each of the heroes is a little bit psychic for reasons we're still exploring in the show). She thus brings along with her Tyrone/Cloak (Aubrey Joseph), who can touch shadowy magic like what's in the guy's brain, so the two can explore further into his mind. What they find is that the guy is trapped in his own time loop of a few minutes that's he's been repeating for nine or so years. It has, understandably, driven him a fair amount of insane. As the loop goes on time and again, the two heroes figure out more about the mind they're trapped in (and what's going on inside it). They also learn more about themselves and, by the end of the episode, start to rely on each other more instead of just being to teenagers that vaguely know each other. There are elements of the puzzle box as well as the caring and sharing aspects of the plot, but what's left unexplained (and presumably will be explored more fully) is how they were able to enter the guy's brain, still use their powers inside it, and just what all it has to do with the overarching plot (which, of course, it'll tie into). It's still too early to say where Cloak and Dagger is going, but this was the first episode of the series that felt like it really involved superheroes (and not just compelling written teens with super powers). The fact that is also played around with the conventions of time loops was a cool bonus for this well plotted episode. It's also worth noting that throughout the series Lucifer we're repepatedly shown that those who go to Hell suffer their own time loop of whatever the worst moment of their life might have been (or, in some case, a moment they felt they deserved replayed over and over again). It's always done as torture and it implies that while there are demons (and one Devil) guarding Hell, the humans are the best at torturing themselves. While I had my issues with the third season of the show, I did like how this aspect of the series was written and explored. Did I miss a time loop movie or show that you like? Add it to the comments below and we'll see about doing a follow-up article in the future. July 16, 2018: Let's Do the Time Loop Again!